I hate to call myself out but, boy do I miss the change of the season. When we were in the process of moving, I was dead set on thinking I wouldn't miss a thing about South Carolina. Granted, we have had some beautiful weather here recently and I'm not complaining one bit, but I have been itching for a little bit of cold weather. I'm crazy, I know. Fall and winter fashion have always been my favorite. 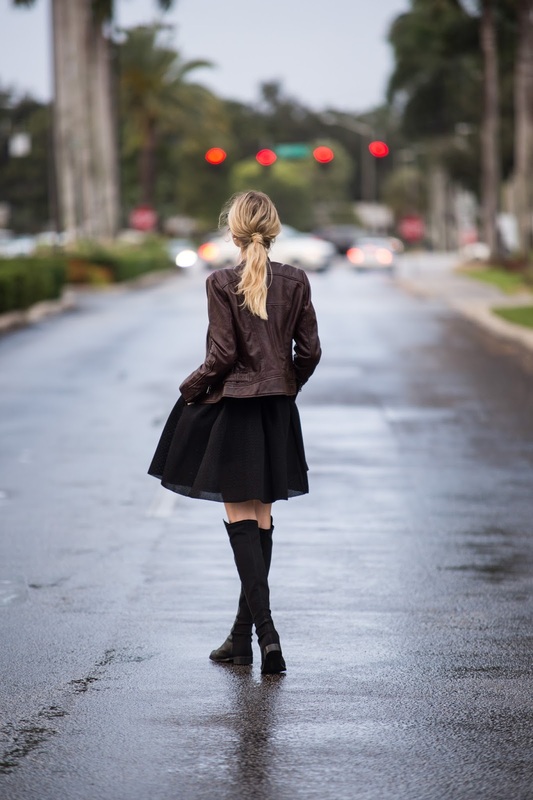 I love the juxtaposition of a leather jacket paired with a feminine skirt. This Bernardo jacket feels like butter and will easily be your bestie this season. From a blouse and riding boots to a sweater with skinny denim and booties.. the possibilities are endless.